2018 had been a VERY good year for mascara lovers. I've found another great pick that won't break the bank, from one of my favorite brands, NYX . NYX Worth The Hype Volumizing + Lengthening Mascara is a name that would be pretty hard to pull off it it was just as so so mascara, so NYX made sure not to dissapoint you. 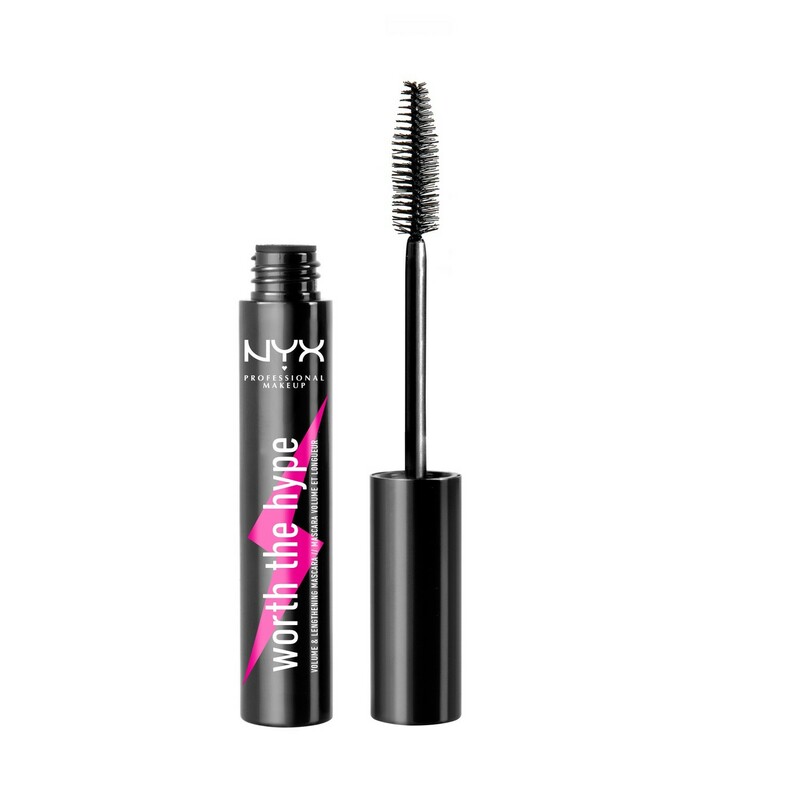 NYX Worth The Hype Volumizing + Lengthening Mascara provides great length and volume with a silky, creamy lightweight formula. The mascara is not too wet or dry, and with just two coats my med/long lashes looked twice and long and thick, with great separation and no flaking or clumping. If you also love a formula that you can modify depending on your mood, NYX Worth The Hype Volumizing + Lengthening Mascara is perfect because it easily buildible to the "false eyelashes" look, or with just one coat, nicely lengthened, naturally separated lashes. The NYX Worth The Hype Volumizing + Lengthening Mascara brush is also great fro getting into the corners and the lower lashes. During the day NYX Worth The Hype Volumizing + Lengthening Mascara didn't smudge, flake or transfer and my lashes stayed full and dark until I removed the mascara late at night. It was very easy to remove using a makeup wipe or eye makeup remover as well as an oil based cleanser.